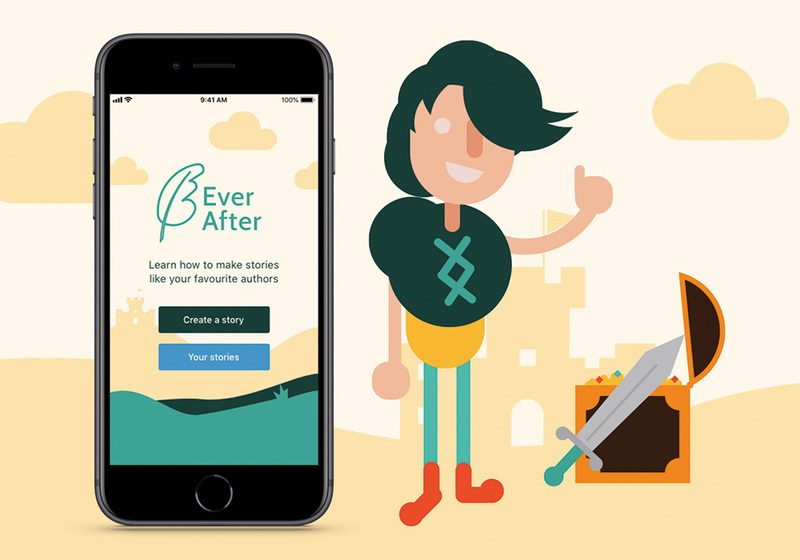 Ever after is a learning based game that teaches 8 – 10 year old how to build stories. 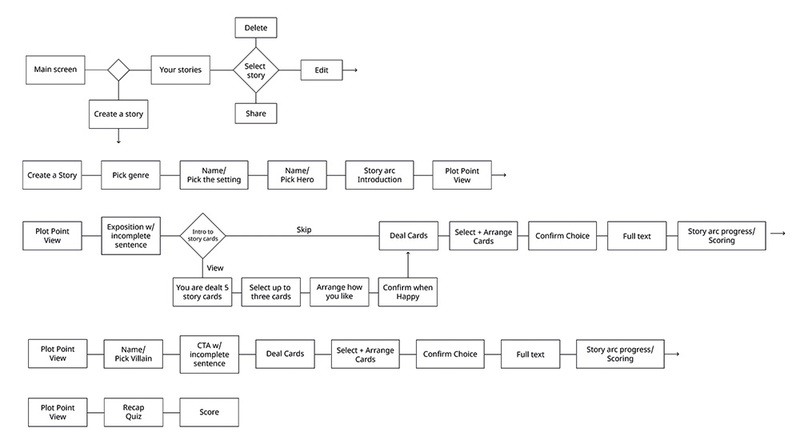 Users work their way through plot points of a story. 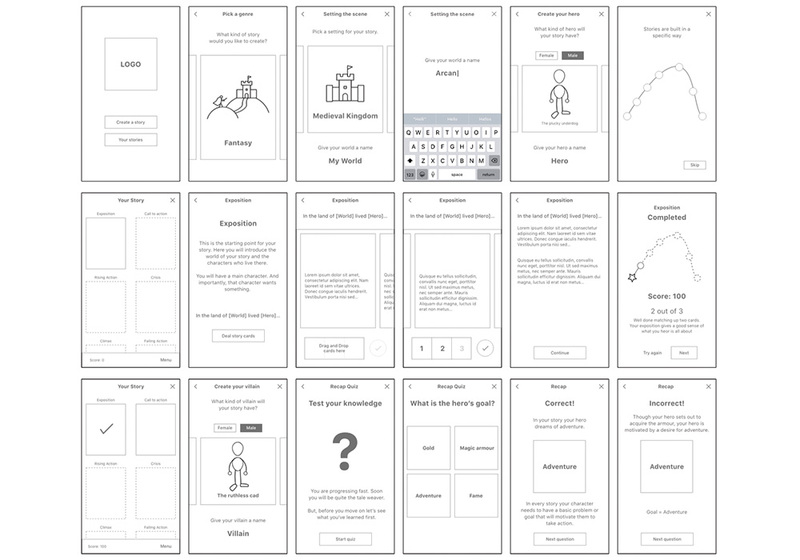 During each round the user is dealt 5 story cards which they use to build a compelling story. 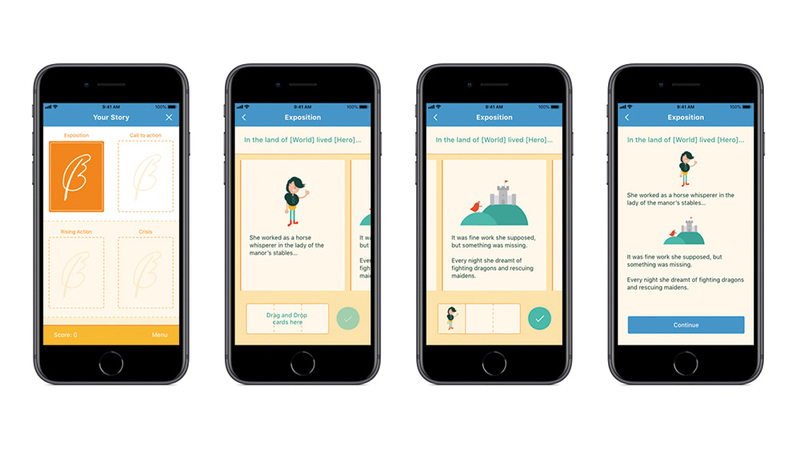 As they progress they learn how to structure a basic story and elaborate upon it. 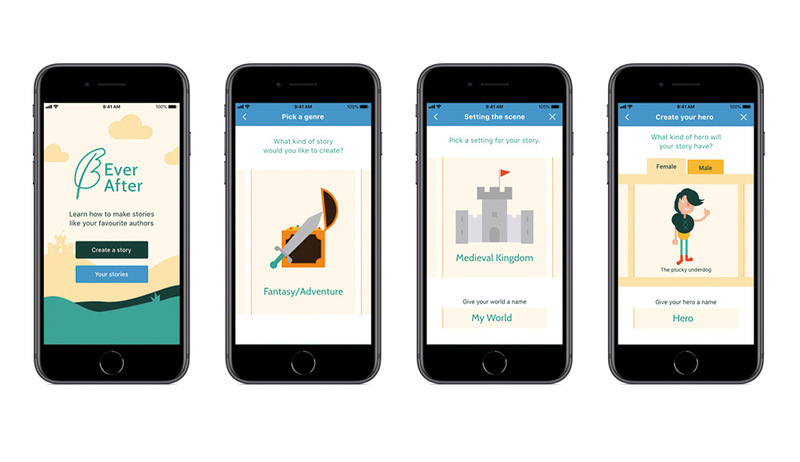 Hi, I’m Pádraig, a UI/UX designer and artist. My work blends clean, comprehensive design with warmth and humour.